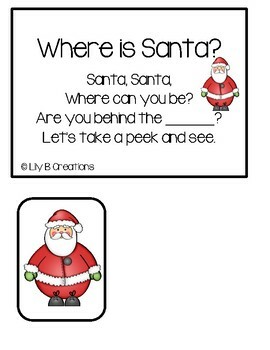 Hide And Seek Game - Where Is Santa? 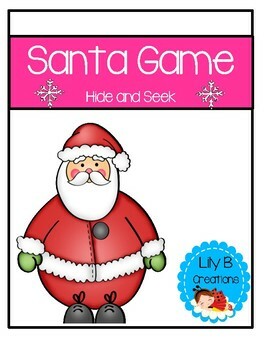 This is a cute game to add to your Christmas activities. It's a great way to review your colors. 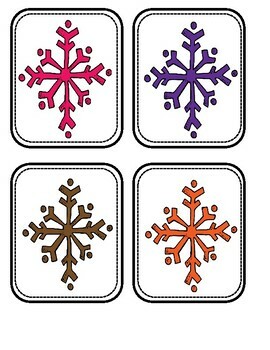 Place the colored snowflakes in your pocket chart. Behind one of the snowflakes place Santa. 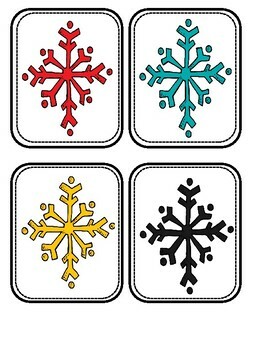 Say the rhyme, filling the blank with a color snowflake. Have a child go up to that snowflake to see if Santa is hiding there. If not, remove the snowflake and say the rhyme again until Santa is found.